Guide Price £300,000 - £320,000. nu:move are delighted to offer for sale this substantial and deceptively spacious 5 bedroom extended end of terrace house. The property is conveniently situated to Stechford mainline station, local shops and schools. 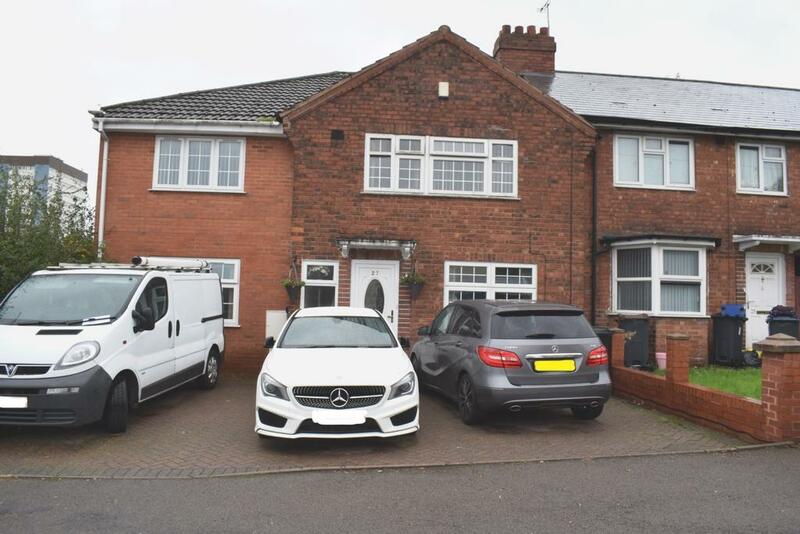 The property is also well placed for the hospital and is within easy reach of Birmingham Airport. To the ground floor the property comprises of entrance hall, 27ft lounge, 25ft reception room, large fitted kitchen and a shower room. Upstairs there are 5 good sized bedrooms, family bathroom and a WC/washroom to bedroom 2. The master bedroom also has a walk-in storage area that has scope to be turned into an en-suite. Outside to the front there is a driveway for off street parking. To the rear there is a generous garden with a large outbuilding with power and light. This fantastic family home must be viewed at your earliest convenience to fully appreciate the space that this property has to offer.